EXQUISITE FLAVOUR. NOTHING MORE. Now you can bring your favourite coffee flavours with you on the go. 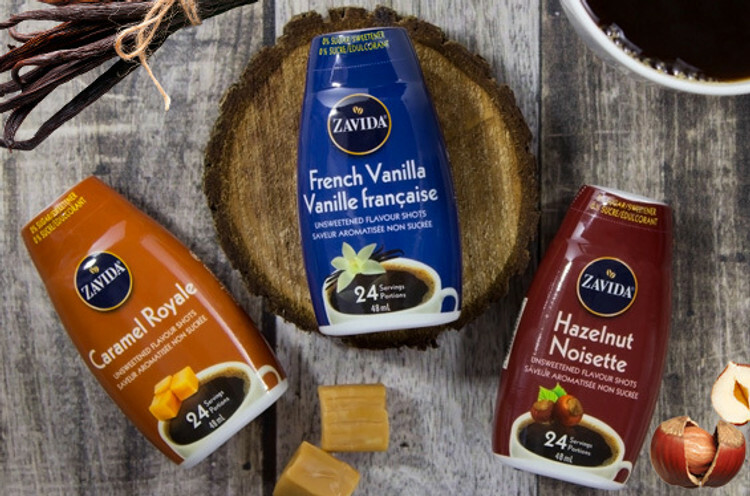 Ideal for regular and decaf brewed coffee, Zavida's Travel Flavour Shots also work great with hot chocolates, lattes, iced coffees, and more. With no sugar and no sweetener, you can enjoy 100% control over the exact amount of flavour you prefer in your beverage and add your own sweetness to taste as you like. Go ahead... give it a shot.